Springtime. One of my favorite seasons is here, where color comes back into our lives. I am also happy when a bride is not afraid to add a bit of color to her personal flowers on her wedding day. It adds richness to the environment and not to mention is really beautiful to look at. – Chat with your florist/designer about what is season, not only is it a bit more budget friendly buying a flower that is in season, but you will have more variety to choose from. – Choose greens and fillers that create some interest and texture. 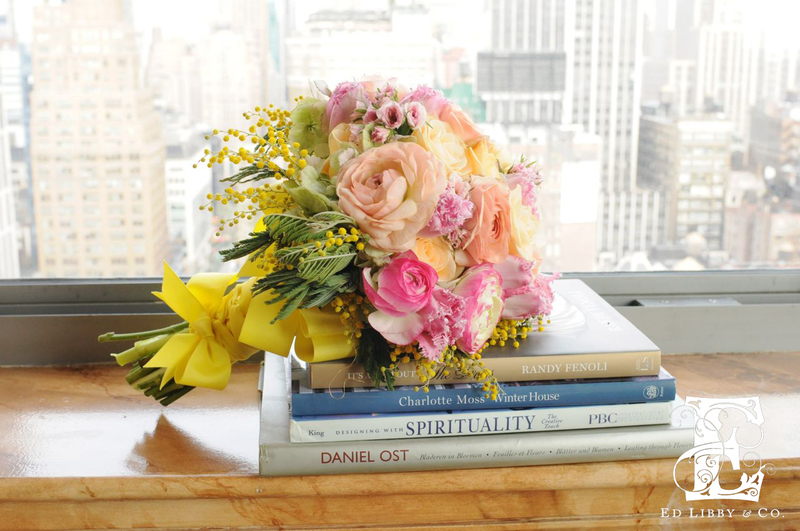 It’s those little bright pops of color that create interesting moments in your bouquet. – Mix up your colors! You might be surprised how bright lush colors can coordinate with each other. Be bold and try different and interesting color combinations that excite you. – Pick a fun “wrap” for the handle of your personal flowers. It can be a bright colored textured ribbon or maybe it’s a piece of left over fabric from one of your bridesmaids dress. This finishes the look of any personal bouquet. This is also a fun area to add mementos, maybe a charm with your grandparent’s pictures or the silk buttons from your great grandmother’s dress. 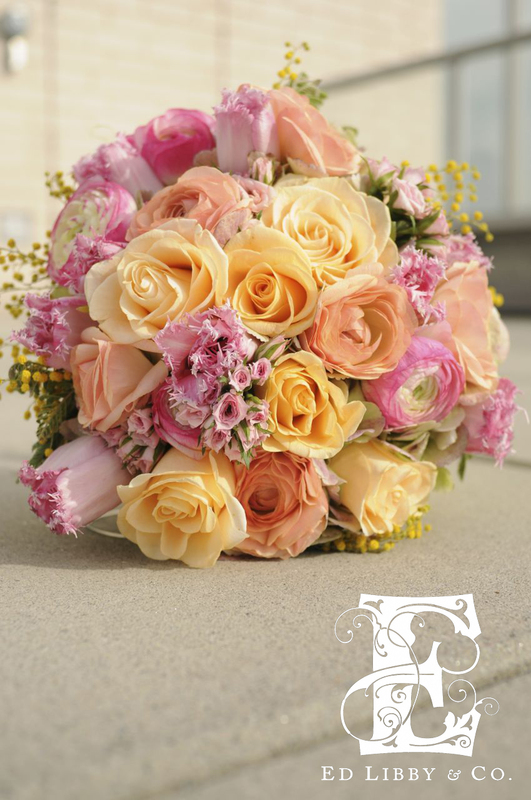 Bright colors and seasonal flowers make this a fun “springtime” bouquet. Tulips, Ranunculus, Roses and Mimosa are great for this time of year. Ed choose a bright yellow grosgrain ribbon to tie in the bright yellow of the Mimosa.